The Portland Tech Intern Experience (PTIX) lowers the steep barriers of the tech industry by connecting interns with each other and to the companies that participate in PTIX through networking events, lunchtime talks and community involvement. Learn more about PTIX events. "The thought was to provide a breadth of learning opportunities and social events that perhaps no one company would have been able to provide on their own." 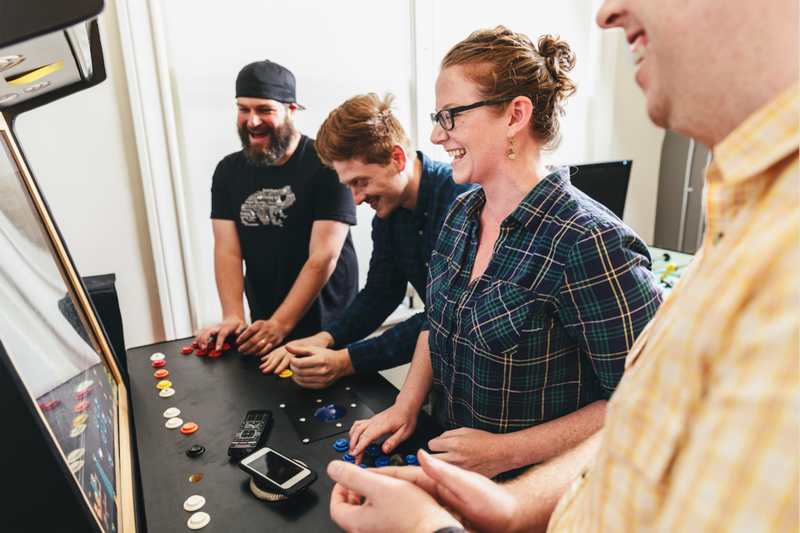 PTIX was founded in 2015 by Tanya Webb at Puppet in collaboration with surrounding tech companies to attract talented people to the vibrant Portland tech scene and provide interns with more opportunities outside of their respective companies. Through the support of Technology Association of Oregon and Prosper Portland, we were able to take our efforts to the next level by creating a website to showcase PTIX and its benefits. Each year a group of interns form a committee to make improvements to the site and gain real-world experience in web development and marketing that they can take with them after the program ends.